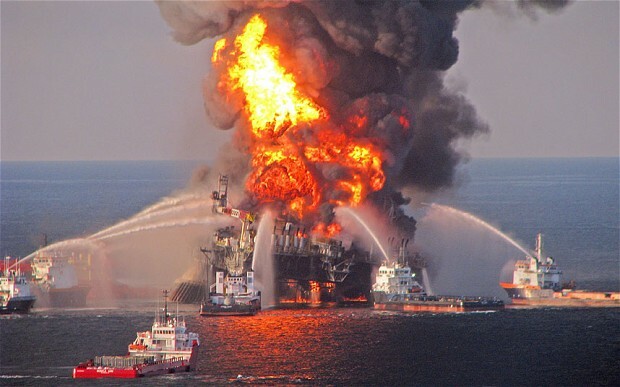 Two BP employees were charged with manslaughter in connection with the 2010 Deepwater Horizon explosion that killed 11 offshore oil rig workers. Prosecutors have asked the 5th Circuit Court of Appeals to reinstate the charges after U.S. District Judge Stanwood Duval Jr. threw out 11 counts of “seaman’s manslaughter.” Duval said the seaman’s manslaughter law didn’t apply to the well leaders – prosecutors contend otherwise. The two had been set for trial in June. However, Duval postponed activity in the case pending the outcome of the appeal on the 11 seaman’s manslaughter charges. The two BP employees, Kaluza and Vidrine have pleaded not guilty. Prosecutors claim the two botched a safety test and disregarded high pressure readings that were signs of trouble before the explosion. Although my sincere sympathies go out to the families of the families that lost their loved ones – I do not think that the evidence supports a finding of manslaughter. For such a finding, they would have to prove that the BP employees charged knowingly disregarded a known danger that could result in death. Signs of trouble, and being aware that their negligence was dangerous is one thing, but it may not get the prosecutors far enough along when it comes to the mens rea, or guilty mind element – was it criminally negligent? Did they know or should have known that the negligence and botched actions would result in death?…we shall see what the 5th Circuit has to say – but my bet is they will uphold the lower level courts determination that there is not sufficient evidence to support a manslaughter charge.